This week Consultant Neonatologist attached to De Soysa Hospital for Women, Dr. Nishani Lucas and Dr. Hiranya Jayawickrama attached to the Child Nutrition Unit of the Family Health Bureau of the Health Ministry speak on goodness of breastfeeding and the dreadful effects of milk powder (infant’s formulas). According to Dr. Lucas, the best milk for any infant/child is its mother’s milk (breast milk). There are uncountable advantages of breast milk. The breast milk is full of nutrients and easily digestible, absorbed and prevents constipation. The breast milk protects the baby from infections such as diarrhoea, respiratory tract infections, ear infections etc and some other diseases such as allergies and eczemas that occur in adulthood. The breast milk ensures the optimum physical growth of the baby while enhancing intellectual capacity. Breast milk helps psycho-social development through the attachment or bonding between the mother and the baby. Breastfeeding safeguards the health status of the mother and reduces the risk of developing Non Communicable Diseases (NCDs) such as obesity and diabetes in later life. Artificial feeding (powdered milk / Infants’ Formula) may interfere the bonding. The mother and the baby may not develop such a close, loving relationship. The baby may not develop so well mentally and score lower on intelligence (IQ) tests. An artificially fed baby is more likely to become ill with diarrhea, respiratory diseases and other infections. The diarrhea may become persistent. The baby is more likely to develop allergic conditions such as Eczema and possibly Asthma. The baby may become intolerant of animal milk which will cause diarrhea, rashes and other symptoms. The risk of chronic diseases in the child such as diabetes is increased. 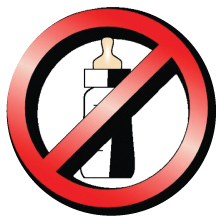 “Formula milk is not a sterile product and harmful pathogens have been identified in sealed containers. Unhygienic preparation and unsupervised feeding leads to harmful consequences. The baby may get too little milk and become malnourished because of too few feeds or too dilute feeds. The baby is more likely to suffer from vitamin A deficiency. If gets too much artificial milk, a baby may become obese. A mother who does not breastfeed may become pregnant sooner. She is more likely to become anemic after child birth and later to develop cancer of the ovary and breasts,” she added. 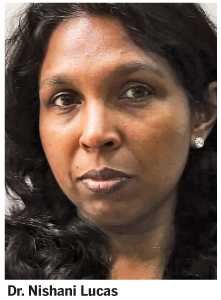 According to Dr. Jayawickrama, breastfeeding should be initiated within the first hour of birth of an infant. The first milk secrete immediately after the childbirth is called `Colostrum’, which is a precious elixir. Feeding the infant with colostrum is very important. This is yellowish in colour and thicker in consistency when comparing with ordinary breast milk. Sometimes it may be seen as a clear liquid. Quantity of milk that secrete at the start may be less but is not a reason to worry. “During the first six months, the mother should try to breastfeed the baby whenever possible without sticking to a time table. This ensures increased secretion of breast milk and continued adequate nutrition for the infant. Breastfeeding the infant at night will immensely helps to maintain secretion of milk at an optimum level. During the first six months, the total nutritional requirement of the infant could be provided by breast milk alone,” she said. * Working mothers should plan to breastfeed their infants from the time of their pregnancy. * During maternity leave period, the mother should breastfeed the infant at night continuously. This practice enables the mother to maintain an increase of secretion of breast milk. * In the morning, before leaving home for work breast feed the child. In addition while the mother is at home, breastfeed the baby adequately. * Express the quantity of milk that the baby required before leaving for work (previous day at night and in the morning). * Then the caregiver of the baby could provide breast milk to the baby adequately at the correct time. * While breastfeeding the baby, the mother can collect breast milk for use later (from the other breast while feeding or after feeding). This relieves the mother of having to find extra time or take effort to express breast milk. * Breast milk should be collected in a clean small cup or a container. This should cover with a clean lid. * The mother can have an estimate of the volume to express with experience over a suitable period of time. * It is safe to give the collected breast milk within a day. Storing breast milk in separate small containers is convenient for the care giver. * Breast milk can be stored for four to six hours in room temperature. The containers should be kept in a cool and dark place. * In the lower part of the refrigerator, breast milk can be stored for 24 hours. * Breast milk can be stored up to three months in a deep freezer. * Breast milk that was stored in a refrigerator should be warmed by placing the cup on container in slightly warm water. Never use a stove or heater to warm breast milk. * It should be remembered that only a cup and a spoon should be used to feed the breast milk to the baby and a bottle should NOT be used. * Babies can be breastfed up to two years and beyond.